How free are we as Americans if we are living under a justice system that is fundamentally unfair? Bryan Stevenson, founder of Equal Justice Initiative, is an attorney who has successfully defended some of society's most vulnerable and oppressed people in landmark cases before the Supreme Court. 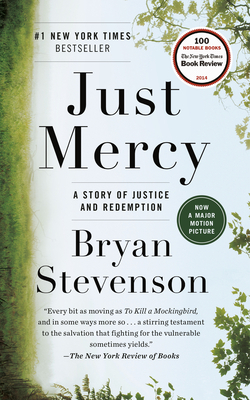 In Just Mercy, he asks us to contemplate a system in which children, the poor, the developmentally disabled and African Americans receive the harshest punishments, including the death penalty. This book touched me and made me think about what is being done to "make America a safer place." We are not safer in a system this unjust.